Have you considered how you will exit your firm or manage the exit of one of your partners should they get ill, seek retirement, or face an unexpected change of life? Have you identified the likely successors for your role? What is in place if one of the principals is removed by illness or death? Will your business have ongoing viability if you are no longer part of the team? Do you know what your firm is worth? What will be the taxation consequences of a sale of your equity? If you can’t answer these questions you could be exposing your business to risk should you have a principal of the business retire, resign or confront health issues. Often professionals are so busy working in the business they don’t work on the business and succession usually isn’t an urgent consideration. 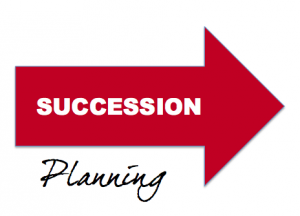 It is, however, important to work through the process and develop a plan that will deal with the succession of your business in all circumstances, including an unplanned exit. Consideration should be given to the outcomes for your business if you were to get ill or have to step away from the front line. Then, once understanding the impact, you should consider the options available for succession and the issues and merits of each option. Where the firm has multiple principals there should be equity/shareholder agreements in place which identify the roles and responsibilities of the parties can also identify the steps to follow to buy out an exiting party. It should also outline the method to value the equity interest and what terms will apply to the payment. A buy/sell agreement that deals with unplanned exits is often funded by an underlying insurance policy that is triggered when the events in the buy/sell occur. It is better to put these documents in place when there is no immediate requirement to negotiate an exit as they can then be done with no specific agenda in mind. Other considerations for the succession plan is reviewing your business structure to allow for easy entry and exit of parties and access to any asset protection and taxation concessions where available during operation of the business and in the event of sale. ​It takes years to build up a strong, partner-led professional firm, but many businesses can destroy this value quickly by failing to plan for the succession of senior staff. There should also be a financial due diligence to identify the areas for improvement in the practice, including financial reporting programs, growth planning, profitability improvement, systems development and risk management. When these areas are improved they enhance the value of any business and will result in greater profitability of the business and a smoother transition. It is also important to consider whether there will be an external sale of the business or whether a potential leader can be identified within the current team. The knowledge and experience that resides in a principal often forms a substantial proportion of the firm’s intellectual property and capital. That knowledge and experience needs to be passed on to potential successors. Internal succession may also need to be backed by appropriate recruitment of staff who aspire to being a principal, leadership and management programs to provide development, and growth in the practice that facilitates progression of team members to principal. Ultimately succession of a principal can be best managed where the business is transition ready, there is a process in place to manage an exit and the process is clear for all parties involved. That way, when succession becomes an issue, it is not a reason for unnecessary conflict or stress.